Young Texans who returned to school this fall begin each day by pledging allegiance to our state and to our nation. As they recite the Texas Pledge of Allegiance, they have four new words to say: "One state under God." Those words should sound familiar; Americans have been saying the very same words in the U. S. Pledge for more than 50 years. Unfortunately, a North Texas couple is suing the State of Texas in an attempt to overturn our state pledge. Professed atheists, they object to their children having to watch and listen as their classmates "engage in a ritual proclaiming that there is a God and that Texas is 'one state under God.' "
As the State's lawyer, I am committed to vigorously defending our Pledge. And so far, we are succeeding: In August, a federal district judge rebuffed the couple's attempt to remove the phrase while the lawsuit proceeds through the court system. America's founders crafted the First Amendment to guarantee the individual's right to believe or not to believe in God, but that protection for the individual does not banish God from the public square – quite the contrary. 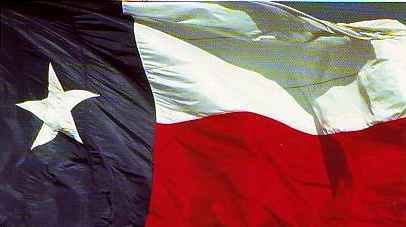 U.S. and Texas history clearly shows the Founders seeking Divine guidance as they fashioned our system of government. And they publicly acknowledged that influence at every turn. The 56 signers of the U. S. Declaration of Independence appealed to "Nature's God," the "Supreme Judge of the world" and "divine Providence," and famously acknowledged that all persons are "endowed by their Creator with certain unalienable Rights." These acknowledgments of the Almighty continued unabated well into the early years of the Republic. Congress authorized paid chaplains for the House and Senate the same week they approved the First Amendment. In what is known today as the U.S. Capitol's Statuary Hall, the House of Representatives hosted church services for 50 years. Thomas Jefferson, who penned the Declaration, and First Amendment author James Madison were regular attendees. Preachers even used the House Speaker's podium as a pulpit. Right here in Texas, as our forefathers began their fight for independence, their open acknowledgement of the Almighty echoed across Washington-on-the-Brazos. When Sam Houston and his brave companions declared their independence from Mexico, they invoked "the Almighty" and "the true and living God." They closed the 1836 Declaration of Independence by "fearlessly and confidently" committing their fates to "the Supreme arbiter of the destinies of nations." Forty years later, the writers of the Texas Constitution began by "(h)umbly invoking the blessing of Almighty God." With such a clear record of reliance on Providence, it should come as no great surprise or offense to acknowledge God in our state Pledge. The federal courts have looked favorably on the idea. Since Congress added "under God" to the U.S. Pledge in the 1950s, virtually every reference to the Pledge by the U.S. Supreme Court has confirmed its conformity with the First Amendment. Three years ago, Chief Justice William Rehnquist said plainly in Elk Grove v. Newdow, "I do not believe the phrase 'under God' in the Pledge converts its recital into a 'religious exercise...' "
Justice Sandra Day O'Connor expressed her view in 1985's Wallace v. Jaffree that the reference to God in the Pledge of Allegiance "serve(s) as an acknowledgment of religion with 'the legitimate secular purposes of solemnizing public occasions, (and) expressing confidence in the future.'" In that same case, then Chief Justice Warren Burger observed that holding the Pledge unconstitutional would "make a mockery of our decision making in Establishment Clause cases." Even Justice William Brennan – by no means one of the high court's most conservative members – admitted in the 1963 case School District of Abington Township v. Schempp that "(t)he reference to divinity in the revised pledge of allegiance... may merely recognize the historical fact that our Nation was believed to have been founded 'under God.' "
Neutrality is the aim. The First Amendment does not permit government to endorse religion, but government cannot exhibit hostility toward religion, either. It's a delicate balance, to be sure, but including the words "under God" in the Texas Pledge successfully and constitutionally walks that line.